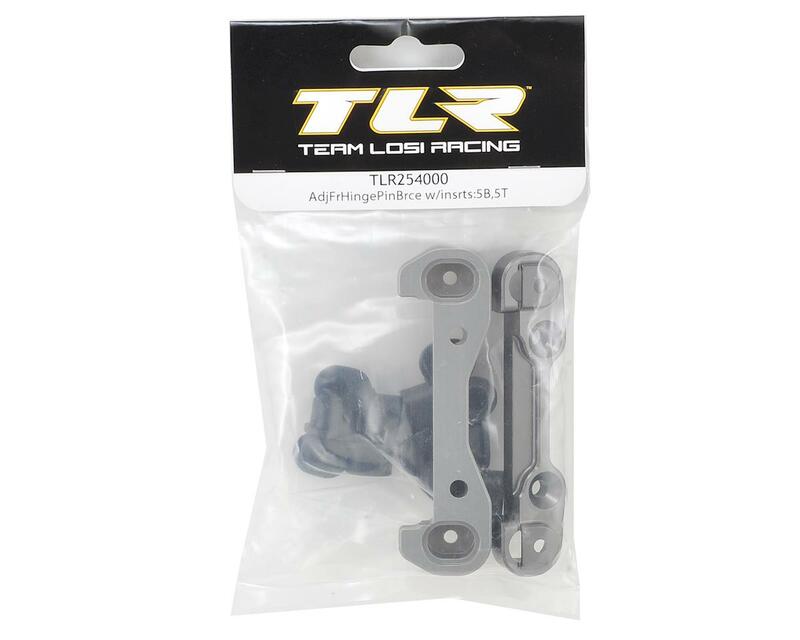 TLR 5IVE-B Adjustable Front Hinge Pin Brace Kit. This is the replacement 5IVE-B front hinge pin brace set. 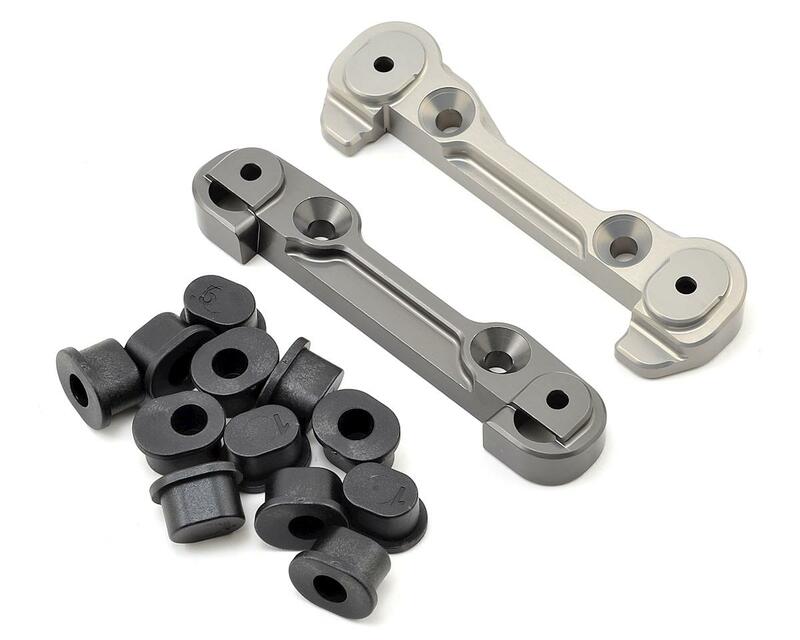 Package includes front/front and front/rear hinge pin braces, and brace inserts. This also compatible with the 5IVE-T and 5IVE Mini WRC models.